Make a project with an autumn theme. And we are giving away a $25 Amazon gift certificate, courtesy of FCCB Design Team! This prize will be given if there are 10 entries or more. This was actually an easy project to complete. You do need to use an iron on stabilizer to cut with the Cricut and a brand new blade. 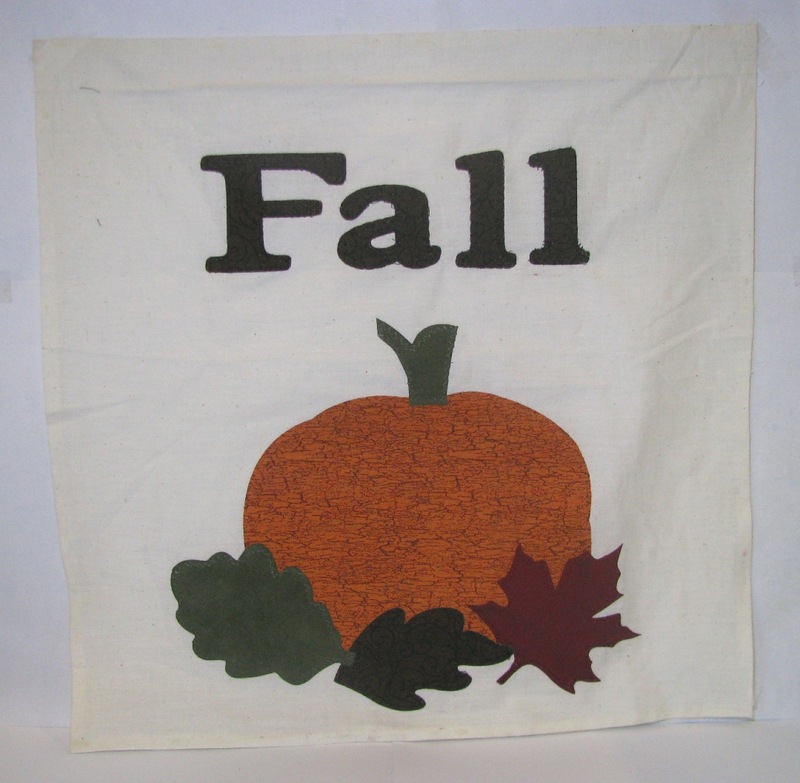 I used Plantin Schoolbook Roly Poly font for "FALL", and Designer Calendar for the pumpkin and leaves. The simpler the image, the better! I fused the cuts to a piece of muslin, then zig zag stitched everything on. I wished I had used clear monofilament thread for all of the pieces instead of just the green. No changing colors all the time! I can make a mini flag, a pillow, a tote bag, etc. I love how this came out Michelle, I may need to try fabric again. This is just wonderful Michelle!! Thank You Bugaboo Digi Stamps and One Happy Cut!